Robert Clark joined Marks Education in 2014 after spending nine years in college admissions at Georgetown University and Eckerd College. Robert’s experience serving on college admissions and college transfer committees allows him to be an informed resource in making smart college application decisions. In addition to general counseling, Robert specializes in assisting students with athletic recruitment and the college transfer process. He works with students virtually as well as in-person at the Bethesda, MD, Washington, D.C., and McLean, VA offices of Marks Education. Robert understands how an admissions officer reads an application and supports students to present themselves authentically and shine during the admission process. Staying on top of trends in the field is important to his work, and he provides a data centric, friendly and steady viewpoint to demystify college admissions and make it manageable for students and their families. Robert shares his admissions expertise with students from military families on a pro bono basis, making presentations at local military bases. He has been a member of the Civil Air Patrol, the auxiliary of the United States Air Force, since he was a teenager, and mentors cadets in his squadron who seek college admissions guidance. When he is not busy raising his family, Robert follows local sports teams the Orioles and the Capitals. He lived near an Orioles farm team during his childhood in Maryland and remembers the magic of his first visit to Camden Yards. 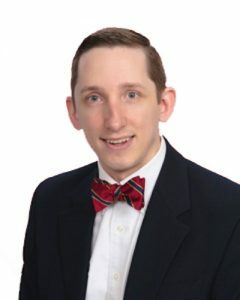 Robert is an active member of the National Association for College Admission Counseling (NACAC) and the Potomac and Chesapeake Association for College Admission Counseling (PCACAC).